Hello everyone. Still working on going through my photos from my last Disney trip and two Disney trips ago. Haha. I guess that shows how lazy I am. Anyway, today I thought I would post a couple photos of the other characters that show on in the area I watched the show from. 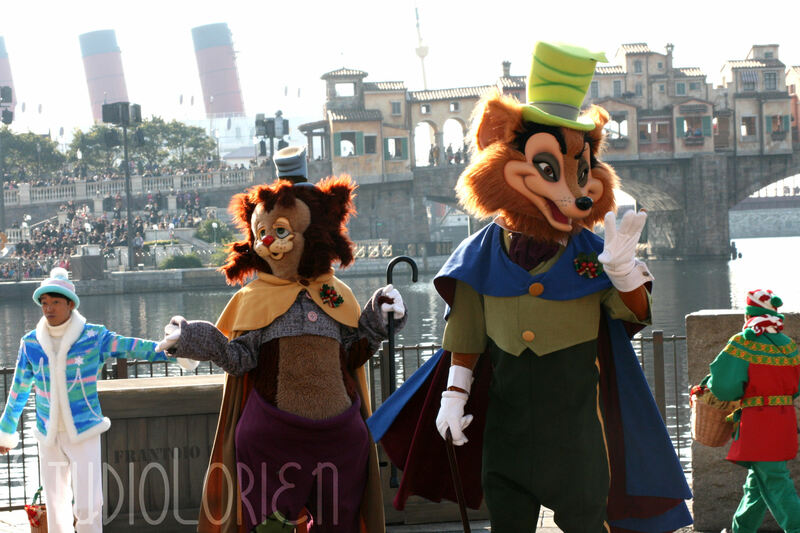 My last Seven Port post featured The Little Mermaid, but unfortunately I didn’t take enough photos of the other characters to make a post for each of them. 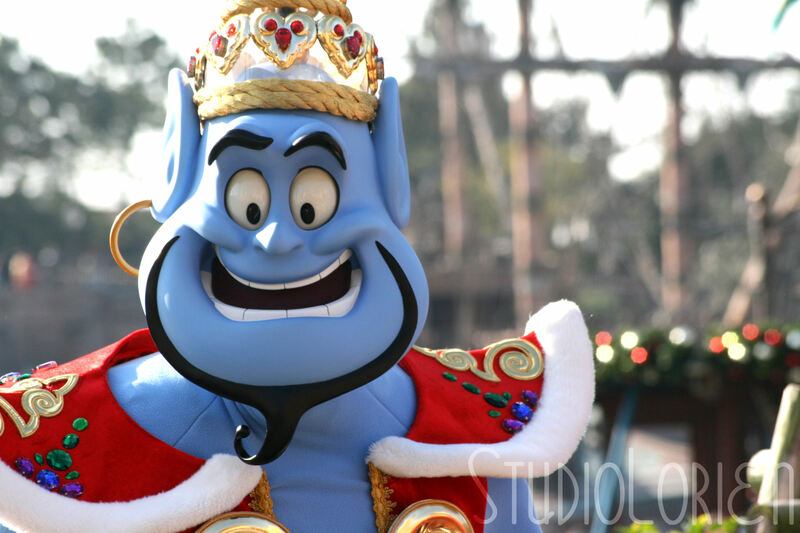 Genie from Aladdin! He looks so nice in his Christmas costume! I’m not a big fan of Pinocchio characters, but I must admit Gideon is pretty cute. I didn’t get an up close photo of him, but here is J. Worthington Foulfellow! I knew his name was Foulfellow, but I didn’t know his full name until just now. Did you? And finally. 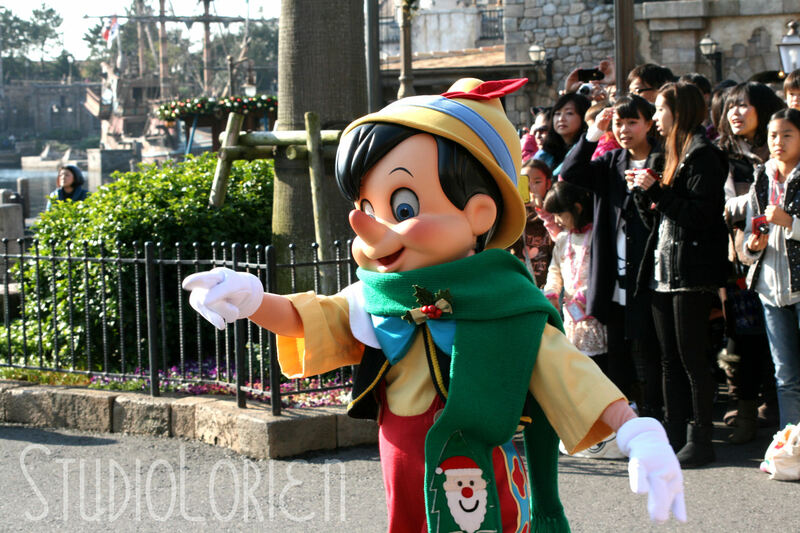 Pinocchio! I love his Christmas scarf so much. Previous Tokyo Disneyland Countdown Tickets Arrived!